In North America North of Mexico this family includes 6 genera and about 16 species. Adults and pupae of this family are terrestrial, except for females enter the water to lay eggs. The larvae, however are fully aquatic. 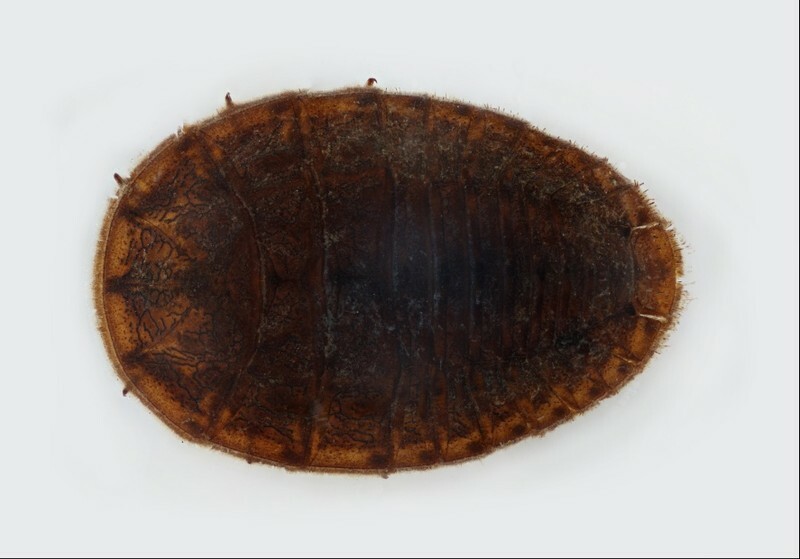 They are very distinctive, flat, shield-shaped larvae, almost trilobite-like in appearance, with the legs only visible from the ventral side. They are almost always found stuck (suction cup-like) to the sides and tops of rocks, where they feed by scraping periphyton and other food off of the substrate. Order: Larvae: Usually without lateral abdominal gills. If gills present, then 4 hooks clustered on segment 10. Thoracic legs each usually with 4 or 5 segments and with 1 or 2 claws; if without legs, head distinctly sclerotized and posterior body (thorax and abdomen) simple, without gills, hair brushes, suckers, or breathing tube. Eye spots usually present, but compound eyes absent. Family: Short 2–3 segmented antenna. Labrum and clypeus separated by suture. Legs (visible ventrally) 3–4 segmented with only single tarsal claw, suitable for walking. Abdomen 9-segmented. Abdominal tergites without dorsal lobes. 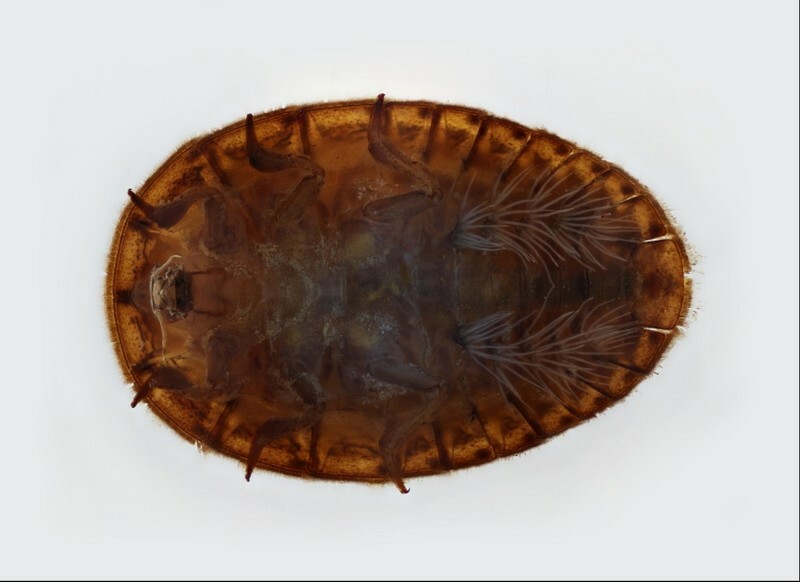 Body dorsoventrally flattened, with thoracic and abdominal tergites expanded laterally, collectively forming thin shield covering head and legs from above.